Do Thai Massage therapists benefit from their work? Everyone knows that clients can benefit greatly from a good massage session. But what’s in it for the therapists? Why do they do it? What do they get out of it? The focus of this article is everything except money. After having done massage therapy for many years, I know that money alone is not a good enough reason to be in this profession. My primary specialty happens to be Thai Massage, but the concepts in this article apply equally to any massage therapist. 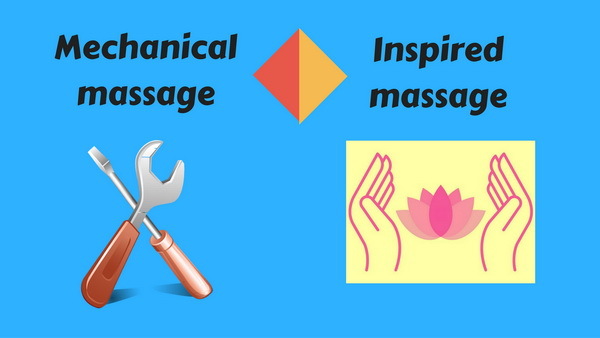 What is massage all about? Have you ever experienced a massage session where everything was done right by the therapist, but in the end you felt like you were just an object that was pushed around, kneaded and squeezed? 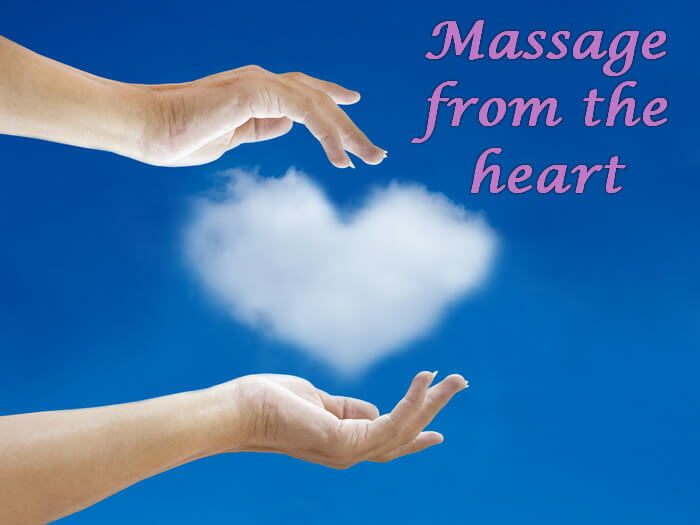 Have you ever experienced a massage session where you could feel the energy, attention, the love and the passion of the therapist, and in the end you felt like in massage heaven? Both might look like the same massage on the outside, but the results and the feeling will be totally different. They really want to make a contribution, they want to do their part to make the world a little better place. They don’t need to advertise much since people are drawn to them by word of mouth. The quality of their work and their touch speak for themselves. Sure, professional Thai Massage therapists have to make money, but those therapists whose primary motivation is how much money they can earn will be lacking most of the above mentioned qualities. They will get bored with their work and they will suffer from burnout sooner or later. Their work will have a mechanical quality, there won’t be any love in it, and nothing magical happens in their world. Thai Massage therapists who have a calling, a passion for their work, can develop personally by becoming more sensitive to energy, more intuitive, more kind and empathetic. Such therapists are artists in their field like gifted musicians, painters or dancers. They all thrive through the connection they experience in their vocation, and they all know about those almost magical coincidences where sometimes everything just falls perfectly into place. Such therapists put their heart and soul into their sessions. They often have wonderful experiences with their clients who are many times grateful, appreciative and uplifted by the work they received. 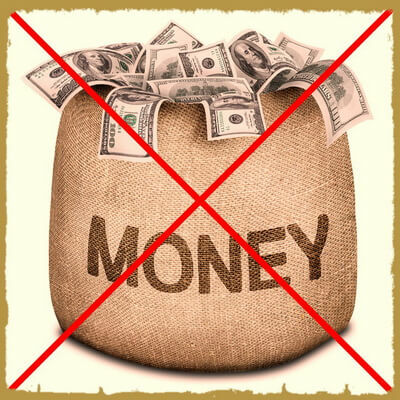 The therapist can get as much satisfaction from the reaction of their clients as from the money they get paid. Good Thai Massage therapists make the world a little better place every time they work on someone, and in turn they themselves get positive energy and inspiration from a higher source in some way. Any interaction with human beings is essentially an exchange of energy. This can be totally unconscious and mindless, or it can be intentional and inspired. Good therapists instinctively develop a sensitivity for energy exchange, and they learn how to direct it in a positive way. Good Thai Massage therapists enjoy their work. They develop their technical skills along with their personal growth. Rather than being “massage mechanics” they take on the qualities of healers. They might get paid very well for their work, but they also get rewarded by who they are becoming in the process, namely a more intuitive, loving, sensitive and compassionate human being who plays an active part in making this world a better place to live in. The author, Shama Kern, is the founder and director of Thai Healing Massage Academy and the author of 20 online Thai Massage video training courses. He can be reached at shama@thaihealingmassage.com. Your article came right in the middle of my testing out for Rocking massage. It was wonderful as I was a little over whelmed with clients doing the books and reading emails along with the everyday hassles of life. Soon as I read your article I just said to myself “slow down” center yourself” what good will I be if I am carrying anxious energy. Your timing with me always seems to be impeccable. I was also reminded that when I use to dance we use to call what you might call flow and or timing Phrasing” it is my new assignment for myself. Phasing makes the movement seem effortless as well as its a wonderful feeling. Feels like your just in sink with everything even when the outside world seems to move so fast. Don, your background in yoga and dance should make you an ideal candidate for Thai Massage since so many concepts apply equally to all three systems. I am so grateful I met you through the course I took with you a few months back. This article is SO AWESOME! I cried as I read it since it really proves what I have always felt about you. You are a wonderful human being, an inspiration, a light in this world. Thank you so much for these wonderful articles you publish and for the insightfulness contained within. Peace! Thank you so much for your kind words, Enrique. Comments like your are my inspiration to continue and improve my writing and my courses! Thanks Coco for always taking the time to read my articles and leaving insightful comments! Thank you for sharing Koh Lanta with us Shama, we are now planning to visit this beautiful island paradise, it is an area that I would like to explore. Samui is fine for now, but getting crowded. Krabi and Trang have been on my list of possible future destinations, if I can get Banana out of Samui, HaHa! I couldn’t agree more with what you’ve written in the article! Thanks Lidia, I always appreciate your input. Thanks for sharing your wisdom; your website is a great resource, both for students and practitioners (who are really just students with more experience). This post is great, as is the one on abdominal massage. I was lucky enough to eventually find a teacher there who taught stomach work (though it took quite a bit of looking). Next time around, I will check out your school. I agree whole heartedly. I some times do not charge money, Instead we do an exchange of services, I get a reiki session in exchange for a thai session. for example. It works well in my close knit community. Thank you for your wise insights. Thanks, Kathy, for taking the time to comment. It’s always good to hear from my colleagues. I like that you said that a good Thai massage therapist can be trusted and have the skills to make you feel at ease. My sister and I are interested to become massage therapists in the future. We want to know the necessary techniques that we can use so we can make people realize that they are in good hands whenever they get our services. Since we want to also impress people because of our skills, we will make sure to attend massage therapy classes. Thanks!